water, and far more long-lasting than alternative surface materials. Kitchens are a hub of activity in most homes, and in order to withstand heavy usage, surfaces must be highly durable, as well as beautiful. Resilient, easy to clean and available in a plethora of different styles, colours and finishes, granite is often the perfect choice for all kinds of kitchens. Here, Melbourne Kitchen + Bathroom Design explores the unique benefits of granite, the different types available, and how it can dramatically improve your kitchen space. Benchtops and islands are the main focal points in any kitchen, so it’s important to select a statement material that encourages your desired ambience. Granite has long been one of the most popular choices among natural stone varieties due to its dramatic beauty and luminous appearance. Quarried throughout the world, it’s available in a seemingly endless variety of colours and patterns that are influenced by the specific geological conditions of the region from which it came. “Granite is one of the most versatile natural stones on the planet,” says David Onesti. “[Its] wide-ranging colour variations are due to the different minerals within the stone, which also determine the patterns and speckles [throughout the slab]. translucent quartz and silvery mica guarantee no two slabs will ever be the same. withstand hot cookware or boiling liquid better than other surface materials, such as marble or dolomite. “The kitchen is the heart of the home, so [it needs] a stone that will last a lifetime,” says Onesti. Granite’s hardiness means that you’re unlikely to incur any major costs for fixing cracks, chips or scratches, and caring for it is fairly simple. A well-sealed granite countertop is relatively impervious to bacteria, but as with any stone surface, it’s important to clean up any spills as soon as they occur. It’s important to note that while some superdense strains of granite are naturally stain-proof, most varieties are relatively porous and generally require re-sealing every three to five years. However, if you ensure your granite benchtops are professionally installed, sealed and regularly maintained, they will continue to give you outstanding beauty and performance in the decades ahead. 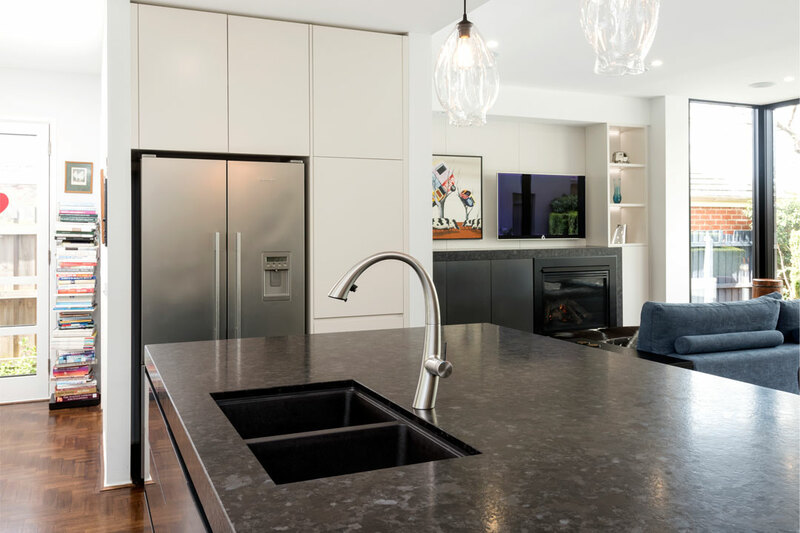 The upfront costs of installing granite in your kitchen might seem high, but the material’s superior durability is what makes it such a cost-effective investment in the long run. 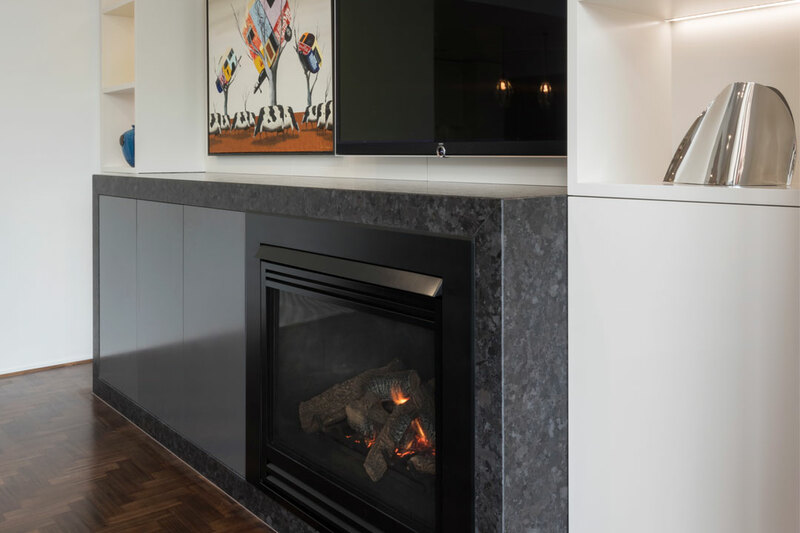 While your friends and family may be repairing or replacing their laminate benchtops every few years, or frequently re-finishing their timber island bench, your granite surfaces are guaranteed to stand the test of time. If you decide to replace them down the road, it will be because you want to and not because you have to. Additionally, granite doesn’t depreciate in value and can provide a significant return on investment. Homebuyers are often willing to pay a little extra for a kitchen with granite surfaces, which makes choosing granite a financially sensible solution for homeowners who may intend to sell in the future. There’s something about granite and its luxurious appeal that simply cannot be replicated by other surface materials. 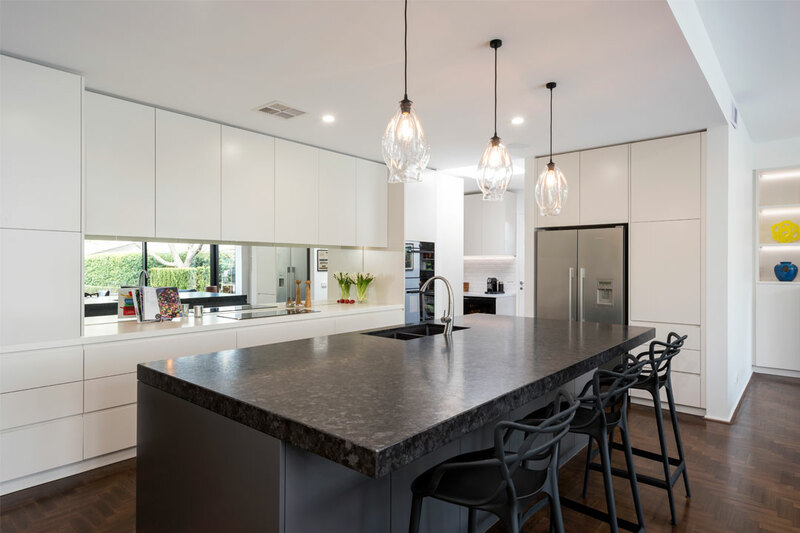 Throughout the years, granite has secured its place as a sophisticated, highend stone material for kitchen spaces, and the reasons for its enduring popularity are rock solid. If you’re looking to update your kitchen with granite surfaces or splashbacks, speak to a reputable stone supplier about your project. With the right advice, you’ll be able to choose a type of granite that’s perfect for your kitchen.